Lost but now found. After 73 years, two friends, holocaust survivors are finally reunited. Just wait until you hear the whole story. 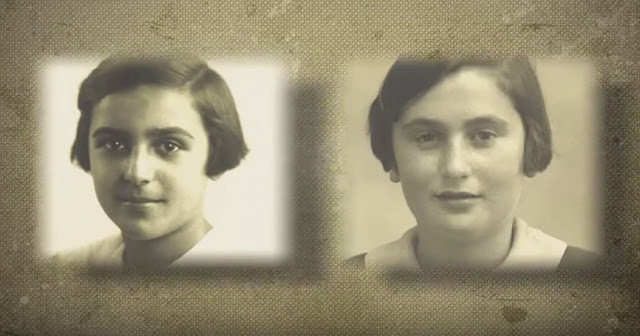 Edith Westerfield and Gerda Frumkin were two of the “One Thousand Children,” a secret program that sneaked Jewish children away from Nazi Germany. The children were brought onto small cruise ships where the members were transported to families in the United states. It was on the cruise ship, the Deutschland, that Edith and Gerda met…73 years ago. The confrontation started with a brief email trying to rekindle a short friendship. “I have thought of you often and am so thankful that you found me… can’t wait until we speak” Gerda Frumkin wrote. It is just adorable seeing two old ladies getting worked up from the thought of seeing each other. Upon arriving to the airport a day before meeting her friend, Westerfield was a kid again asking, “Is she taller than me?” You can see that she is excited knowing that she is about to see her friend for the first time in decades. Westerfield describes the moment as, “It’s almost like finding my parents again.” To use such a big statement, you can kind of tell how much this reunion meant to these two ladies. 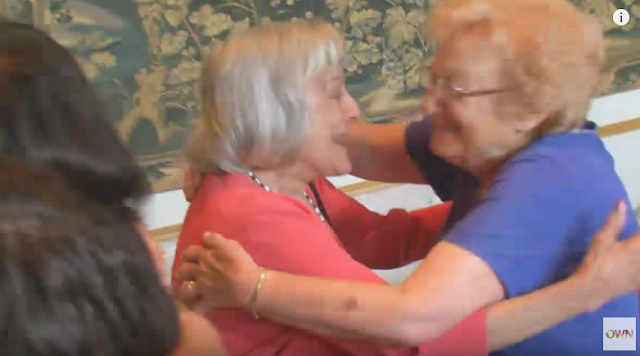 As the reunion is approaching, Frumkin says to her daughter, “I’m really nervous and anxious to meet my best friend that I haven’t seen in 73 years.” Two friends who haven’t seen each other in 73 years and a lot of catching up to do. When the two ladies finally met with each other, nothing but happiness. You can hear Westerfield saying, “Is that you?” over and over again upon seeing Frumkin in which she replies, “Yes, It is me.” The look of joy on their faces and a rush of emotions. As the two finally embraced each other after so long, the family members present couldn’t help but feel a flood of emotions. The two ladies had so much catching up to do, “I wish we would have been in touch, we could have helped each other,” said Westerfield as she was holding back tears. A beautiful story to hear about and an even more beautiful scene to see. After finally being reunited after 73 long years of meeting each other as young girls, the two were finally able to find their best friends. If you want to see the reunion, you can find it below.